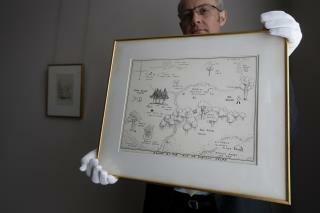 More famous than JRR Tolkien’s Maps? I completely forgot there were maps in Pooh books had this article not reminded me. I’d wager many others have too. If I had 200k of throw away money I would pick this up. Man whenever I see maps like those, I always imagine at the edge there is a sentence "Here be dragons"